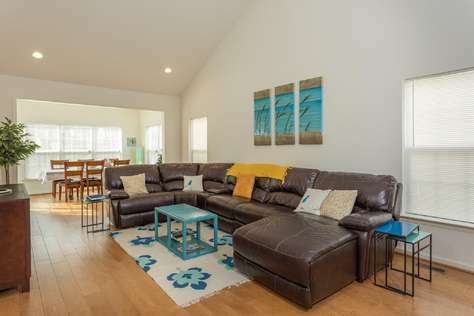 Our vacation rental properties in Delaware include a selection of hand-picked Ocean View summer vacation rental homes. Each of our properties is fully furnished and stylishly decorated. Our property management team ensure all our vacation homes are maintained to the highest standard and ready for you upon arrival. Many of our properties benefit from a balcony or garden and are within close distance of the local beaches. Take a look at our portfolio of Ocean View vacation rentals. Of course, if you are visiting coastal Delaware then the beach will be your number one stop, however, it doesn’t stop there when it comes to local activities in Ocean View. Enjoy a little culture with a visit to Gallery One where you’ll find a variety of art from local artists. If you feel like a little extra pampering then head for one of the local spa’s to really experience some deep relaxation. Or, throw caution to the wind, don your sailing cap, arm yourself with your fishing rod and head out to sea on a local fishing charter; or simply sit back and take in the surroundings during a boat tour. There’s some form entertainment for everyone in the family in Ocean View. Grande At Canal Pointe 37514 Worcester Dr.